Stu: This week we welcome Martin Silva to the show. 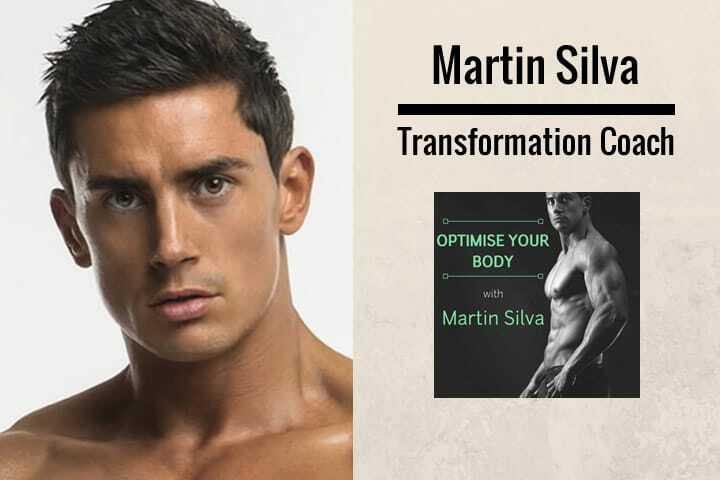 Martin is a transformation coach, award-winning fitness model, public speaker and a personal trainer with over a decade of experience in the fitness industry. Find out how Martin’s life changed when he put health before aesthetics with a clean diet and a clean lifestyle. In this episode we discuss how to build lean muscle the ‘healthy’ way and cover the industry myths that may be holding us back from our goals, enjoy. 00:03 Hey, this is Stu from 180 Nutrition and welcome to another episode of The Health Sessions. 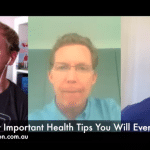 It’s here that we connect with the world’s best experts in health, wellness and human performance, in an attempt to cut through the confusion around what it actually takes to achieve a long lasting health. And I’m sure that’s something that we all strive to have, I certainly do. 00:23 Before we get into the show today, you might not know that we make products too. That’s right. We’re into whole food nutrition and have a range of super foods and natural supplements to help support your day. If you are curious, want to find out more? Just jump over to our website. That is, 180nutrition.com.au and take a look. 00:41 Okay, back to the show. This week I’m excited to welcome Martin Silver. Martin is a transformation coach, award-winning fitness model, and a personal trainer with over a decade of experience in the fitness industry. He takes a different approach for his clients by addressing areas of the mind and body, not commonly discussed in the gym. 01:23 I’m great mate, thanks. Thanks for having me on. 01:25 No, it is a pleasure. I’m really intrigued into getting into this conversation today as well, but first up for everybody out there that might not be familiar with you or what you do, I just wanted if you could share a little bit of your journey with us. 01:45 Absolutely, yeah. So to cut a long story short, I started lifting weights at a young age and I’ve always been competitive, and into sports and stuff from a young age. So I’ve always been, as I said, very competitive and very active as a child. I started lifting weights at the age of 14 and I’ve never looked back. And when it comes to me stepping foot into the fitness industry, I was actually, I qualified as a personal trainer by the age of 19, I’m now 31. And I still do personal training now, so I’ve been doing that for … I’m not very good at Maths, but 12 years or something. 02:25 So about four or five years ago, I decided to compete for the first time as well. So I’ve climbed to the Pro level as a fitness model athlete. I’ve competed I think about eight times. I’ve taken my body to the extremes in that sense. And nowadays over the last, say three years, I have managed to … After, as you can imagine, been driven by aesthetics. That’s probably the main reason why young lads in their teens start lifting weights anyway. It’s probably insecurities or whatever. So obviously always being driven by aesthetics, I then managed to switch my mindset, which was the game changer for me into making health a priority, that was about maybe three years ago. And ever since then, I have managed to maintain my physique and I’m focused on my health and feeling good above anything. And that has now taken me to another level in terms of my message and actually helping people. 03:23 Great. Fantastic. So, I’m particularly interested in having a chat to you today because a lot of the guests that we have on the show, and a lot of the questions that we receive as well, are very weight focused. As in, I need to lose weight, I want to keep the weight off and I want to sustain my lean body mass. 04:31 So you got a new client comes through the door, they just want to get, they want to get ripped but they want to stay healthy at the same time. So where do you take them first up? 04:42 Great question Stu. The most important thing I think, which is kind of overlooked is, it sounds a bit kind of like woo, woo, but it’s asking them why? Because going back to what I said earlier, most people are driven whether they realize it or not, by insecurities. 04:59 When it comes again in shape, most people I deal with are normally people who are not happy with certain parts of their body. So they’re kind of training because they don’t like certain parts of their body. So I’ll ask them why they want to do it first, because based on what I have achieved myself with my body and duty I’ve been on, you’re going to be disappointed. 05:34 You get to the end of the road, you’re going to be disappointed if you’re still just focusing on how you look, you’re going to be disappointed at the end of it. So, the why is very, very important. I don’t go too much into that, but the other things are, obviously training and history as well. 05:48 So I like to know what their past is in terms of, have they been lifting weights regular in the past? Are they new to exercise? 05:56 Also the major factor which I have been delving into a bit more now, is stress management. 06:04 So, most people in this day and age are in such a high state of stress all the time, especially with people with technology. Most people have got office jobs and stuff nowadays, so people are not moving enough, overstimulated by, you know, your iPhone and stuff. The stress management and the level of stress these people are facing is really important as well. 06:49 Most people have like a protruded head, rounded shoulders, underactive posterior chain. So for the listeners, that’s just like the mid back muscles, the glutes, the hamstrings are normally underactive. 07:02 So yeah. I always try and do the posture assessment first. I always do that and then I’ll figure out where we need to go then. So I will be like, you need to strengthen these areas, these areas are tight so we need to stretch these areas out. So the mechanics and the science, as you mentioned, behind lifting weights is very important. There’s a lot to it. 07:22 That was a long winded answer for you there. 07:23 No, no, it’s great. It’s a good place to start. 07:26 So, if I’m in the news agency, and I grab a GQ, or Men’s Health, or Men’s Fitness, and all those types of magazines, and see a guy on the front cover and think, I’m going to do this myself, no problems. And take the magazine, go to the gym, start lifting weights. 07:46 What are the most common mistakes do you think, that I would run into if I just decided I’m just going to go hell for leather and hit the gym five, six times a week? 07:57 The most common mistakes … And literally you just mentioned those two words, hell for leather, the thing is nowadays, training intensity is the most abused training modality that there is out there. 08:10 So people try and go from like zero to 100, straight off the bat. 08:16 And it’s just not sustainable. So recovery, that is the game changer. That’s another thing that I have learnt loads about just over the last, say three years, I’ve really started honing in on the science, but yeah. 08:29 So recovery is so important. So people want to go to the gym, and the way people judge or measure their progress is, just much like I did up until again two, three years ago, was how much am I aching? How much damage have I done to the muscles? And if they’re aching, let’s just use legs as a body part, we all know how hard it is, when you go in and you do a leg session, right? 08:52 So people want to be aching for three to four days, can’t walk properly, I’ve done a great job. It’s quite the opposite, Stu. 08:58 So as you probably know, if your body will prioritize recovery, over muscle growth. If you’re looking at the guy on the cover of Men’s Health, you want to look like him, he would have put recovery a priority by most likely doing it in a clever manner. But most people want to go every single day, no days off kind of mentality, and the body’s just going to continuously prioritized the recovery, over the muscle growth. 09:35 Set a split routine and target in, like one body bar at a time. It’s much better off doing the full body, let’s just say three times a week, and hitting the body parts, you’re hitting the body parts more frequently and allowing your body to recover then. We’ll come to that a little bit later, but yeah. 09:53 No, no, it does absolutely. Because you get a picture in your head of these guys who are very chiseled, or women as well, because we’ve had a whole heap of queries about building sustained lean muscle from females as well. 10:11 So yeah, very, very intrigued. But minimum effective dose, because you mentioned three times a week, and because on one side of the coin people think, well, I’m all in like seven days a week, I’m just charged, charged, charged. But for the minimum effective dose, if I wanted to see a change in body shape, how frequently should I try? And what could I get away with? 10:36 Another great question, Stu. I always recommend, for example people I train, on the first … Let’s just say we’ve done the consultation, I’ve done a little bit of search that I talked about, they want to sign up for sessions, I’ll say to them, two times a week. Especially someone who is a beginner, or even someone, to be honest, even someone who’s doing split routine training and is no newcomer when it comes to lifting weights, two times a week. 11:04 If you … When I say full body, I mean you’re covering all the most fundamental lifts such as barbell squats, barbell dead lifts, or any type of dead lift, bench press, overhead press, kind of pull ups, or maneuvers, all the main compound exercises, if you’re getting all of those in within two sessions, significant results if done properly. 11:28 I can talk more detail if you want about like an example of sessions, but generally to answer your question, two sessions a week will get most people significant results, but obviously that doesn’t last forever. So let’s just say for the average person, after say four to six weeks of doing two full body sessions a week, the body’s going to have adapted by then generally. 11:49 So the sweet spot for people to adapt to a certain type training is three to four weeks. So after that period then, a lot of people I train, I will then review. 12:00 And I’ll say, “Okay. Maybe you need three full body sessions now.” And then I’ll get them to do some stuff in their own. And if they’re really keen, I can give them a program to do in their own time as well then. 12:12 So you can literally train most days if you want to, but you can’t hammer the body every day, Stu, as you know. 12:18 Yeah, definitely. And in terms of body type as well, because we have different types of body. There’re people that are very susceptible to be able to build muscle quite easily. Whereas on the other side of the coin, you’ve got … Is it ectomorph, super lean, high metabolism, very hard anti-protein muscle, irrespective of what they’ve never put on weight. For those types of people, is it realistic to think that you could build and sustain muscle? 12:55 Absolutely. Yeah. So we’re talking about the ectomorph now, Stu? 13:00 That’s it. So believe or not, that is my body type as well. I can talk forever about this, but I’ll just simplify it a bit. And that’s my whole life. I’ve struggled to gain muscle. 13:15 My story, for example, I’m an ectomorph. So for the listeners, that’s someone who’s genetically lean and skinny. 13:21 So I’m almost six feet two, and I’ve got long limbs as well. I think when it comes to like puberty and stuff, I was a bit late. So when I got to about 16, 17, and I’d been lifting weights for two years, three years, I really started to make some gains in, but I was well out of proportion. 13:40 But for me it’s been, like I said, I’ve been lifting weights now for 17, 18 years. So for me, it’s been a long process. But yes, to answer your question it’s totally possible, but you have to obviously, you need to be consuming enough calories which I’m sure most people can guess that. And also it’s like what I find with some people be, I had to make certain … When I made certain sacrifices like when I stopped playing rugby, and I stopped … I used to teach like spin classes, stuff like that, as soon as I stopped doing them and I just focused on lifting weights, it was a game changer. 14:16 So it’s very hard if someone for example is an ectomorph, those people generally, not always, but are kind of sport individuals and they like to play sports as well, sometimes it doesn’t matter how many calories you get in, that kind of stuff can be counterproductive for someone. 14:32 So what I would say is, it is possible but you need to hone in on lifting weights properly with good technique, and doing some of the stuff we’ve mentioned earlier, like getting those fundamental lifts in such as squats, dead lifts, making those exercises like squats and dead lifts, which I like to call King and Queen, they’re the most important exercises. 14:54 Making those two exercises the cornerstone of your program, if you like. So as long as you’re getting those kinds of exercises in, you’re eating enough calories, and you’re not overdoing cardio, and playing too much sport or whatever, it can definitely be done. It does take a bit of sacrifice, that’s all. 15:10 Okay. Now that’s great advice. So you mentioned that, you eat enough calories, and in my mind there’s a certain type of picture that people form in their minds, of people who are really trying to pack on the muscle and that is essentially just glugging down protein shakes 24/7, irrespective of perhaps the nutrients in there and just eating everything that they possibly can. 15:47 Yeah. So, tell me about the importance of diet then in this equation, wanting to pack on muscle. Where would we start? What would we look to be eating? 16:23 But protein, having an adequate protein is very, very important. So as a guideline, I’m just trying to appeal this to the masses now, I do it in pounds. That’s the only problem and I know most people do kilos, but let’s just say for someone who really wants to focus on building muscle, I would start them off on like a gram of protein per pound of body weight. 16:45 And that normally is more than enough for most people. And what happens is, when have you been lifting weights for longer and you start building muscle, you become actually, as you know, you become more sensitive to protein. So I can go as low as, zero point six grams per pound of body weight now, and I still build muscles. 17:03 So I start off on roughly about that, as a guideline. And then I always recommend on day one for most people, is to put the work in and actually start tracking your calorie intake. I still find this a bit of a battle with people because it’s an extra job essentially. But the day and age we live in now it’s so easy with certain apps you can use for tracking your calorie intake and building self awareness in terms of, what calories do I need to build muscle? Basically what are your maintenance calories? 17:40 So I can tell people now, it’s quite easy to do if you want to work out how many calories your body needs, just to maintain weight. So what you need to do is, you need to track your steps as well though, your daily movement. 17:57 So if you can get like a wrist device such as a Fitbit, I always recommend, start tracking your steps. So the first thing is to weigh yourself on day one, track your steps every day, try not to change anything or do anything too drastic with cardio, and then track your calories everyday. Do that for about two weeks. Weigh in again. If your weight hasn’t changed much, then congratulations, you’ve worked out roughly what your maintenance calories are. 18:24 You can do calculations on weight and stuff, but in human metabolism is, once again as you know, it’s so complicated that they’re just weigh too far out. The best way to do it is to track and then weigh yourself in after two weeks. So that for me is the most important thing, but obviously lifting weights properly, and a piece I think most people miss is, strength training and actually lifting heavy weights, and doing some type of strength training phase for maybe three to four weeks where they just focus on doing anything from say, you add one to six reps, and lifting hard and heavy. 19:00 … because they’re kind of stuck in the hypertrophy phase as you know as most people kind of, they like to stay within that eight to 12 rep range, get a good pump and … But you need to delve out of that and jump into strength training and also strength endurance as well. So there’s different types of training, which is different ways to build muscles really, so. 19:17 Okay, no that’s great. Well look, I’m keen to get into your training routine as well, but before we do, just back on the diet, any particular type of diet that you found to be perhaps the most beneficial for lean muscle growth? And I’m talking about we’ve got so many different types of diets right now in terms of Keto, low carb, high carb, all of the above, what do you gravitate to? 19:43 So I gravitate, if I was to pick a diet then like the word diet for me, I try to veer away from using that word not only because it’s been given kind of a bad name right now because people are struggling so much to, as you mentioned, to sustain long term health or manage their weight, that they’re jumping from one diet to the next, to the next. 20:04 But having said that, for me if I had to pick one, Paleo. So that’s kind of the Paleo diet is kind of how I eat, but not like spot on, so for me that kind of works the best. So about again it’s around about three years ago when I kind of was [inaudible 00:20:23], about four or five years actually, I eliminated dairy, I cut dairy out, I eliminated gluten or at least reduced it significantly and I started getting less issues, more energy. 20:36 I used to get like suffer with chest infections and stuff regular, and the second I took dairy out, boom that improved. So for me, just and just to kind of sum up for the listeners what the Paleo diet is, it’s essentially like the hunter, gatherer diet, that’s kind of the label it’s got. And you’re eating whole foods, so you’re eating a log of plant foods, but also good quality meat such as, you know like grass fed steaks and free range chicken. 21:04 So the meats as you know like your products for example, grass fed and what not, obviously there’s a fine line between just any old meats and good quality meats, right? So yeah it’s mainly what we evolved eating in theory anyway, obviously no one fully knows. So that’s the diet that works the best for me if I had to pick one Stu. 21:23 Okay, no that’s great. And in terms of the macros within that way of eating, are you, where do you sit in terms of things like carbohydrates? Because I know that often times people look into the Paleo diet and they think, “Oh right well, you know I can’t eat potatoes or bread or rice or pasta” and that makes up most people’s carbohydrate intake during the week. So where are you focusing on with your carbs with that diet? 21:54 So with my carbs, I tend to have, okay I won’t go too much into the science with that. But with my carbs I don’t have those kind of foods, just for the listeners like most of them are going to be quite well vast now after listening to your podcast for however long. But obviously bread, pasta, white rice those kind of things, I do have a bit of white rice once. I find, and the new studies are actually saying on that note that brown rice can have, generally has more of a toxic effect with most people on the gut because of certain compounds in there. 22:26 So white rice seems to sit better for me but that’s the only thing I’ll have white. So with the carbs, I tend to stick to for sauces, carb sauces, mainly sweet potato, have a little bit of white rice, I do have black rice and red rice as well now so I kind of mix the rice up, so I know that’s not Paleo. Like I do have some greens which are okay for me and then I have fruit as well. I have some fruit but obviously I don’t overdo fruit because there’s a lot of fructose in fruit but you know for the listeners fruit is really good for you. 22:56 So that’s one thing I’m finding quite frustrating is people are kind of making out that fruit’s bad for you nowadays because of the stuff we see online and all sugar is bad. But as you know, so yeah berries I might go to when it comes to fruit and obviously when it comes to plant based carbohydrates or like the fibrous types, I have a lot of vegetables, that is my number one food nowadays, that’s my go to. Heaps of different types of vegetables really. 23:22 So but in terms of how much carbs I have, I have I’m not diet consistent about 25 percent carbohydrates, around about 25 percent protein which is much lower than what most people have or need and I have about 50 percent fat. So I function really well with fat, I’m pretty sure my body goes into ketosis quite regular because I do a lot of intermittent fasting, as I said I do have a lot of fat. Yeah so 50 percent fat, 25 percent carbs, 25 percent protein there and about. 23:54 Okay, great. 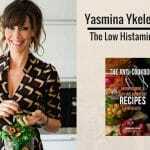 And I’m pleased that you mentioned intermittent fasting because that potentially is a strategy that people wouldn’t necessarily associate with being able to build lean muscle and sustain lean muscle as well. So from a, like a calorie perspective, would I be right in saying that irrespective of what your calorie load needs to be in a 24 hour period, as long as you get that in your eating window, then you’re not going to start to lose muscle when you’re fasting. 24:24 Absolutely, absolutely. So you do, in most cases, now calorie surplus is necessary to build muscle but I would actually argue that myself and some people I’ve trained, generally the ones that are high level have still built muscle in a little bit of a deficit but that’s rare. So yes, generally you do need to be eating slightly more calories than your body is burning to build muscle. But just as you said as long as you get those calories into that window, which actually this is a fantastic question because it makes me feel really good when I fast. Do you do some yourself Stu as well, intermittent fasting? 24:58 Yeah, yeah absolutely. Generally like a 16:8. 25:04 And so a question quickly for you just to interject, do you train fasted? 25:11 So yeah I do, I do for the most part, so it depends really. So for example, yeah so normally if I train like late morning, anything up to about 12:00, 1:00 generally I’ll just go fasted. But to be honest even when I leave it, it’s a complete, as you know yourself, one great thing that fasting teaches you is what real hunger is. You actually realize that for most of your life you’ve just been eating based on cravings so it’s not even to hunger. 25:40 So I feel much better when I train in a fasted state. Sometimes I’ll have a little bit of fat like I’ll have like a bulletproof coffee before hand which again most of this you probably know, it’s just obviously coffee with MTT oil and butter and that gives me a lot of boost. But if I’m doing strength training, if I’m doing heavy weights, generally I’ll plan to train a bit later in the day and get some sort of carbohydrate in because I find I’m a little bit stronger then. But yeah to answer the question, most of the time I lift weights, to be honest, most of the time four in the 16 hours into a fast is my sweet spot, believe it or not. 27:01 But then on the other side there’s the old school camp that says within that 30 minute window load up on protein hence all the shakes that you see at the gym. What’s your take on that? 27:12 To be honest well for the most part I would say that is definitely not something most people listening to this need to worry about. I would say that’s literally splitting hairs in the grand scheme of things. But if I was to say, like for example when I’m doing a competition and I’m like four weeks out from a comp, my body fat let’s just say is about six, seven percent at this point, maybe eight percent on the calipers or whatever. 27:38 Anyways I was just going to say, yeah when I’m about four weeks out from a comp, that’s when I’ll really start focusing on getting that protein in sooner rather than later after my session. But your body is not going to, your body at the very last resort is going to use muscle tissue as energy. Like most people, no offense to most people but, most of us still have so much fat stored in the body to burn up. 28:02 So what I would say to people, it does depend on your goals. Now if your goal is fat loss, and that’s a tip for the listeners, if I’m trying to get leaner for a show or photo shoot, I will actually drag the fast out after training as long as I can. So generally I won’t go longer than about four hours if I’ve got a show, two to four hours, my body is just chewing fat at that point for the most part. 28:25 So if you drag that fast out after training for most people, your body is just going to be chewing away at fat for the most part. So I don’t think it’s that important for most people, I really don’t, to answer that question. 28:37 Got it. Excellent. And go to supplements, so supplements that, and these don’t necessarily have to be just about building muscles, well they might be about overall health, could be you know fish oils, certain vitamins, things like that. So perhaps we can dip into both, ones that you would take specifically to feel your best and then ones that you dial into when you know that you want to assist your goals in terms of a show or muscle burning et cetera. 29:11 So my number one supplement Stu actually is creatine, that’s the one that I get really nervous about results with like instantly. So yeah that’s probably, if I had to say my favorite in terms of, okay let’s just say in terms of performance based supplements, creatine, and I do take protein because I find it quite hard especially with intermittent fasting as you know. But right now like for example for me to not lose weight, I need lik 3,900 calories. 29:42 So to get that into like eight hours I generally need like a protein supplement. So those two in terms of like, I don’t know how to explain that but purely performance based. But other supplements I take, I’ve just started to, what was one, yeah … Okay so I don’t know whether you class MTT oil as one, I’ve just started adding that to like coffee and stuff. But I’m a big fan now of nootropics, so I’ve started taking up, just recently started taking theanine with my coffees and it helps me. 30:14 Because as you know with caffeine you can play around with caffeine and actually get different effects. So the MTT oil and butter like more works better for sustained energy for me. Whereas the theanine, I find it just doesn’t give me as much of a crash afterwards. So theanine I’ve been taking as a nootropic and I’ve just started taking five HTP as well which is apparently a really good one. 30:38 What else am I taking at the moment now? And then I do like to take like a green juice, so you make the stuff yourself, like a good quality kind of organic green juice just in case I don’t. To be honest to get the right amount of vegetables folks is pretty much impossible without a supplement. So yeah I eat loads of vegetables but I still try to have one of them a day as well. So they’re my top ones really but it’s mainly just whole foods for me nowadays mate. 31:08 Yeah. That is good to hear. So I’m keen then for you to take us through a typical day for you in terms of it’s a training day so our listeners can get a little bit of an inclination as to how you train, timing and we’ve already discussed how you eat. But I’m kind of keen as to you know what time you get up in the morning, what you do with your supplements and then all the way through training. And then perhaps we can delve into a little bit more about the program as well. 31:37 Sounds good. So right now I am quite busy as a personal trainer. So I’m doing like 30 odd PT sessions a week which for me is more than enough because I’ve got a podcast of my own and stuff as well. But every single day I start at 5:00 AM. So I’ll say everyday. So Monday to Friday I’m at work at 5:00 AM so my mornings are really busy with clients, that’s the busiest part of my day. So I’m up at 5:00 AM, I’ll train clients let’s just say on average through until about I don’t know like 10:00, 11:00 sometimes 12:00 and then I’ll sometimes have a few in the evening. 32:12 So I’ll generally train then around about midday ish or the afternoon. So when it comes to training then, I, let’s just say for example I’m trying to use yesterday as an example now. So I had clients in the morning, yesterday I trained around about like half, one in the evening, sorry in the afternoon. So I had eaten nothing in the morning but the day before see I finished, what the listeners need to bear in mind is, it’s normally based on what you’ve had over the last 24 hours, what you’ve eaten, generally. 32:46 Longer than that but just for argument sake within the last 24 hours. So I know the day before I had a decent amount of calories so I was like well I’ll just fast now. When I say fasting though, I’m not sure about you Stu but do you have coffee when you’re in the fasting state or do you? 33:13 A whole heap of water, but yeah no coffee. But we get lots of questions on intermittent fasting and the use of coffee. And our answer to that is always, yeah black coffee is fine. You know you can run with that just don’t load it up with sugar and milk and dairy if you want to maintain that fasting state. 33:34 That’s exactly right. You’re still going to get loads of the benefits fasting if you were to have a few black coffees, so. But if you’re going to go really into it, like I heard someone say recently that it’s not quite the same because your liver is full but generally you’re still in the fasting state. But anyway so I would have like I had a few coffees in the morning, so I had a bulletproof then again before training in the afternoon. 33:57 So that’s an extreme version, so yesterday I trained about 17, 18, about 16, 17 hours into a fast. And my training session consisted of, it’s a full body session. So now I’m doing like a program which is geared purely for, it’s mainly for strength but it’s also aesthetics, like that all comes hand in hand right? So it was a full body session. So yesterdays, so I won’t go so much into the work out but it’s always full body. 34:24 But the workouts I’m doing now, it’s only like four or five exercises I’m doing. So yesterday I did deadlift, I did, I’m doing kind of like the hypertrophy kind of range now, phase. So it’s like eight to 12 reps on most things. Although the program is like, it’s a 12 week program, it’s mainly geared towards strength. But without going too much into it I’m doing hypertrophy there’s eight to 12 reps. And I was doing dead lifts, I started off with dead lifts, quite heavy, eight to 12 reps.
35:20 So I’ll come to that soon because the days in between those full body sessions, I’m still doing some other stuff. So yeah, so that’s kind of my day so I’m doing quite a lot of clients, I’ve got my own podcast as well and I’m doing online stuff. So when I’m outside of work or not training, I’m normally on the laptop as well. I try to have the [inaudible 00:35:39] nap in the afternoon to recharge but that doesn’t always happen. So much like yourself men, I’m just getting into that nonstop working because obviously like yourself you enjoy what you do so it’s just like, it’s just a way of life now isn’t it? 35:52 Yeah you just, absolutely you just make it work. 35:55 And you mentioned earlier on as well about the recovery. And I know that we’ve spoken to so many people who have said exactly the same thing, and I think it was Mark Sisson who said, “You don’t get fitter, stronger and faster in the gym, you get fitter, stronger and faster recovering from the gym.” And for me, the biggest pillar of recovery is sleep. And I know that you can, some of us perhaps don’t have the luxury of being able to get to the gym super early or maybe at lunch time and they’ll go in after work, possibly 7:00, 8:00, 9:00 which can upset your sleep. Do you have any advice for the people perhaps that need to train later on? Or are struggling with their sleep as well, what have you found works? 36:45 Absolutely. So I would say the most important thing, don’t get me wrong with sleep, duration is important but the quality of sleep is so important. And I think, I’m pretty sure about this because I’m aware of it myself, I think in this day and age, most of us are not getting good quality sleep. So again most people, we’re overstimulated. So the most important thing is actually preparing yourself for a good night sleep. 37:12 So what I’ve, again I try to do this but again I’m not always successful, I try and prepare myself by a good sleep. Now what I mean by that is, no electrical activity on my brain past, generally past 8:00 PM. So I’m normally out cold by 10:00 PM by the way right because I start work at 5:00 AM. So an hour before bed if the listeners can try and focus on this now or at least try to eliminate electrical activity on the brain an hour before bed. And what I’ve invested in is some blue light blockers, have you ever tried these? 37:46 I use them, absolutely. 37:47 Yeah. Have you got the big orange ones or have you got the sleek ones? 38:00 … kind of full face things. 38:02 Absolutely. But they genuinely make you feel more calm. 38:06 And there’s huge science to support that as well, so yeah, absolutely. 38:10 Definitely. So that blue light, folks, right, that blue light on the brain it really does… As you said, with the studies, they’ve proven that it does actually drastically degrade your melatonin levels, which is the sleep-induced hormone. It’s really, really important for quality sleep. So, I would say the main takeaway for them is to focus on good quality sleep. So, try and come off your phone. I always read before bed. I try and get just one chapter a day is my goal. If you can read, this is obviously not pinpoint. But, if you can read a chapter a day of a book, then you’ll read on average around 36 books a year. Right? So, it all adds up. So you’re growing and you’re [inaudible 00:38:51], but also it helps me sleep, big time. When I read a book before bed, helps me wind down. So, that’s the most important thing. 38:59 But then, if people are training later on in the day, another thing is, as well, with quality of sleep, which people over look, is caffeine. Now, more studies have come out that although people thin, “Oh, I’m fine. I sleep; I go straight asleep.”. Like, so do I; It’s totally fine. But, they’ve proven that caffeine has a twelve hour, like a six hour half life. Which means it’s in your system, potentially… You know there’s a lot of variances here. Everyone’s different in terms of metabolizing caffeine. But, it’s in your system for like twelve hours, right? So, for me, I try not to have coffee after about 1PM. And I’ve actually dropped my intake down a lot of bit. So, I’m trying to taper it off, Stu. So for the new year, I don’t want to be reliant on it. Cause that’s my go-to drug, is caffeine. 39:45 So, be mindful of that, folks as well. Try and cut the caffeine off a bit earlier. And I understand that’s very hard for some people who train in the evening though. They have pre-workout or something. But what I would say, you don’t start any pre-workouts, do you Stu? 39:58 That a boy. I don’t want to shoot pre-workouts [inaudible 00:40:00], you know what I mean? I was just gonna say to people, just to avoid pre-workouts. Just please, you probably got to [inaudible 00:40:09] already. But honestly, they’re bad news, most pre-workouts. So one thing might be just a switch. If you’re training less at 6PM, and they’re used to having their pre-workout right before, which is a nightmare because you’re going to bed in a few hours, maybe just switch over to a shot of coffee or something before training. And just try to have less caffeine in the evenings. So, just to answer that question now in like a sentence or two, focus on quality of sleep. Yes, duration is very important. So, for me, I only get about, on average, probably about six and a half to seven hours, on average over the week. And another thing for the listeners is to focus on the overall for the week, and not to panic if you get a night where you get four hours. Just try and catch up on that sleep. And try to average the count over the space of a week. Let’s just say seven to nine hours… Sorry, seven to eight hours for most people. 40:59 Perfect, great, fantastic. So, in terms of your training program as well, how many would you train every day? Like how many days is your sweet spot for training? 41:11 Yep. So, I train probably on average around six times a week. But when I say training- This is a fantastic question because three of my sessions are full body. Now when I say full body, I mean literally the whole body, starting off with the bigger body parts. So let’s just say I’m doing the typical hypertrophy training, which is what most people tend to do more of. I’ll start off with squats. Just say one of my sessions will be squats. Then I’ll start off with squats. And then for me, because legs is like a bit of a problem area, I’ll do another exercise for legs, which is not really necessary, but- I’ll do squats. Then I’ll do, say, straight leg deadlifts, for legs. And that’s it for legs. Then I’ll go, say for back, I’ll do some pull-ups or bent over row. Then I’ll do one exercise for chest, like an incline barbell press. Then I’ll do an exercise for shoulders. I’m just using the most important exercise now, like an overhead shoulder press. And I’ll often times do some lateral raises for the shoulders as well, because you can isolate certain parts of the shoulders. And then I’ll work my way right down, including biceps- I’ll do something for biceps, one exercise for triceps, abs, calves… And I’ll do that three times a week. 42:26 What happens then, Stu, is you’re sending that muscle building signal, as you know. The muscle building signal generally will be at its loudest for anything from 24 to 72 hours. So, let’s just say 48 hours between. So, I’m training the full body pretty much every other day. So, I’m continuously sending that muscle building signal to every body part. So, if you’re to do split routine training, the reason why full body training, by the way is being proven in studies to get better results, one of the reasons is frequency. Because when people do split routine training, a lot of people are just hitting one body part a week and they’re hammering each body part. So it’s damaging the muscle a lot and they’re aching for three or four days, or whatever. And then after, say, two or three days, the muscle building signal is just dampened and faded and died. So what happens then is that’s it until the following weeks. You’ve got three or four days of the week where there’s no muscle building signal. 43:24 Just to dumb it down, when I do those three full body sessions, I’m not hammering these body parts. Yes I’ll be feeling it for maybe a day or two, but that’s it then. Generally, if you’re aching for longer than a day or two, just be mindful you’ve done too much. You may have broken down some connective tissue, as well as muscle tissue such as tenons and stuff a little bit and the body will then prioritize your recovery over muscle growth. So, here’s to do enough to elicit change, but not hammer the body parts. 44:00 Also- Sorry, I was just gonna say one more thing. The days in between, I then will focus on the weak body parts. So I’ll do, for example, I will do a split routine session, but I call it a focus session. Where I’ll say, for me, when I’m leading up to shows and stuff, quads, calves, and shoulders, I lose muscle off towards the end. So, I’ll do quads and calves on one of the days in between. And then the other day maybe I’ll do some shoulders and calves. By the way folks, I’m training calves pretty much every day, but they still don’t grow. I’m sure a lot of the guys can relate to this. 44:34 Kinetic, yeah that’s it. So yeah, on the days in between then if you really want to get insane results, focus on your weak body parts, on the days in between, but don’t go full for all. Do maybe 70% of the intensity you would normally do, and just really focus on connecting to those weak body parts and watch what happens. 44:54 Great, brilliant. And how long would a typical session last? Because I’m aware that people can spend too long in the gym. 45:00 That’s right, typical session. This is the only thing… So, when I’m doing the full body stream sessions, they take a bit longer. They can take me up to, sometimes, an hour and a half. But bear in mind that’s like three times a week. So if you add it all up, it’s not too bad. That is a great question though, because most people do train for too long. Because 90% of people are most likely still doing split routine, what they’re doing is they’re just trying to absolutely annihilate the body part. So, I see some people doing longer than an hour on one body part. For example, for those focus sessions, I call them, you should do roundabout… let’s just say 40 to 45 minutes max, really, if you’re doing just two body parts. If you’re doing longer than that, it’s just overload, really. It’s overload. 45:50 Great, that’s good. So, we’re coming up on time and I have a question and you’ve probably answered this in many different places in this conversation as well. But your three top tips that you think could make the biggest impact on body composition, and it could be like sleep, which people might not associate with the best thing to be building muscle. But, what do you think they might be? 46:17 Okay, the three main tips for someone looking to get like, what? Like just overall kind of thing or? 46:22 The three main tips of people looking to get like you. So I want to drive people to your site. What’s this guy look like? And right, I want to look like him. What’s your top three? 46:33 Okay, thanks mate. That’s a good ego stroke, I like that. It makes all that hard work well for. I was just gonna say, so yeah, the three top tips. So, sleep has got to be up there, sleep has. So if I had to pick three, I would say, let’s just talk about nutrition, right? Cause we both know how important that is. So nutrition is up there. This is in no particular order, now. These three are probably just as important as each other. But nutrition is paramount. 47:04 I would say to most of the listeners, to firstly try to focus on, if you can, just reducing or eliminating processed foods. For example, if you’re gonna take supplements, your supplements are natural, right? They’re great supplements. I’m not just trying to big you up. I’m just saying that there’s not many out there. Most supplements out there are more processed than anything you can get your hands on, right? So, just be mindful of that as an example, right? Honestly I get such insane results with the clients I train and online as well, who actually eliminate processed foods. Such as, even as you said, like bread and pasta and stuff. They are really, really processed. The common stuff like junk food, and food which is not ideal for your body. If you can try to reduce or eliminate those kind of foods and focus on nutrient dense foods, getting in plenty of vegetables, good quality meats as we discussed earlier. I don’t like to big diets up too much, but the paleo way of eating… If you could just try and like, eat whole foods basically for the most part, even if it’s like 70/80% of the time and you’re consistent with that, you’re gonna get insane results. 48:15 So, number one is nutrition and within that category, calorie control, right? So within the same step now, that is important as well. What I wanted to say as well is there’s lots of information out there, and there’s like two camps now, right? You probably noticed this. Where there’s people who focus, you know, it’s all about nutrients nutrients nutrients, and focused on whole foods. Then there’s the other camp where it’s just calories. You’re like the, “if efficient” macros kind of thing. Where it’s like, oh it’s just calories, that’s all that matters. And that is absolute bull crap. I actually infuriates me a bit where it’s like, it’s just about calories. Calorie control is obviously very very important. But unless you’re focusing on building a healthy relationship with food, like I mentioned eating whole foods for the most part, then you can forget about it, right? So, focus on eating as many nutrients as you can. And if you can, start tracking your calorie intake. I don’t like to, certain people get a bit obsessive with this. You have got to be careful. But for most people it’s a great tool to use. I use the app MyFitnessPal. And even at the level I am at now, I still track. Sometimes I’ll come away from it for a few months, but I always go back to it. So yeah, so nutrition is very very important. 49:34 I’m gonna say sleep as well. And again, in that category of sleep, I’m gonna put stress in there as well, stress management. So, most people listening to this now, although I’m assuming most of your listeners are probably at a decent level now by the looks of it, cause of the content you put out there… But most people are in a stress state, an overly stress state. It’s an art nowadays to actually relax; It’s actually an art, just sitting there. And again, this sounds a bit cheesy but just being present and breathing. It’s something I try to practice, but I find it really hard myself. Most people are in a high stress state, so focus on just breathing and doing maybe some yoga occasionally. Focusing on just trying to calm your nervous system down, instead of just go go go all the time. And that is gonna bleed in to your sleep then. It’s gonna eventually teach you how to sleep better. So sleep is really important. I ran through this stuff earlier with sleep. Focus on sleep quality as number one, and managing your stress. So, let’s just say sleep is the second tip. 50:43 The third tip is lifting weights properly. Okay so, these are in no particular order cause I’d put this at the top as well if I could. Building a healthy metabolism is so important for long-term success. And nothing comes anywhere close to resistance training, nothing at all, like cardio. It’s good now because the study’s coming out with a say in that actually, even for your heart, they’re saying that resistance training is superior to cardio. Obviously bone density, as you get later down the line. Nothing combats the aging process better than lifting weights, cause of collagen production. So lifting weights properly and doing it, and focusing on technique and doing that properly and consistently, to build your metabolism is so important. So, just bear in mind real quick that the analogy I like to use is muscle tissue is expensive. It costs your body a lot of calories. So, just to keep muscle on your body, your metabolism has to work really, really hard. If you focus on purely, just building muscle, not going too crazy with high-intensity training because that can be counter productive. You can put your body is too much of a stress state. Just focus on lifting weights properly. You don’t have to go really hard and sweat loads and crawl out of the gym. Just do it properly and connect to the muscles. Yeah, so lifting weights is up there as well, mate. 52:07 Fantastic. No, that’s great. 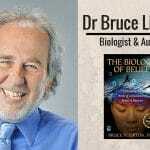 And I’m pleased that you said that because only last week I was having a conversation with a longevity practitioner, so a real expert in his field, and I said to him, “What’s the number one thing that we should all be doing if we want to live longer?”. And he said, “Just lift weights.”. 52:26 Yeah, he said there is so many biological mechanisms that can be attributed to longevity through simply lifting weights. 52:37 So many of us think that we have to slog on the treadmill for hours and hours and hours. But it’s simply not the case and has been proven. So yeah, it’s great advice. 52:46 That’s great to hear that specialists like that are actually coming out with that stuff now as well. 52:50 Absolutely, brilliant. So mate, we are just about at time, so I’m just intrigued what’s next for Martin Silva? Like what do you got in the pipeline? 53:01 So, in the pipeline, right… I’m actually looking in to getting more of an online. I’ve got like a decent following now. So right now I’m really starting to immerse myself in to producing better content and actually building an online business of some sort, going forward. I have done online coaching before, like, basically, online personal training. What I find is I help people more than nutrition stuff. That’s the stuff most people need help with. So, I am going to get back in to that. I’ve taken some time away to really focus on getting my knowledge up and stuff and going down that path of perfecting my craft, if you like. So, that is a big goal of mine now, going forward, is building an online business, one-to-one coaching. My friend and I gonna be launching a website soon. I’m collaborating with a good friend of mine and we’re gonna be, basically, pumping loads of stuff in to a website and giving people loads and loads of free content. And the end goal is maybe to monetize it at some point later down the line. That’s a big goal of mine. 54:04 And also Stu, I’m thinking of competing again next year, maybe just doing one more show. I haven’t competed for like three years now and I’m thinking of doing the WBFF pro show in the Gold Coast next year. So, that’s another goal of mine. And yeah, that’s it really. As cheesy as this sounds now, my main purpose in life, I’ve discovered over the last few years, is actually just to help people. Much like yourself, to add value to the world. So I just want to reach more people with my message. So that’s why I’m really really grateful for you giving me this opportunity to get my message across. Yeah, that’s it in a wrap really, mate- in a nutshell. 54:44 Fantastic. Well I think that you’re doing a fantastic job and people will definitely be interested to what you gotta say because of what you achieved and also, your unique perspective. 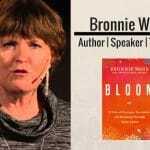 Because it’s not often that you hear somebody in your industry talk about paleo and intermittent fasting and keto, and all of the other strategies, specifically stress as well. So, good on you. Where should we send our listeners that want to find out more about you? 55:11 Okay, so I guess one of my main handles is Instagram. It’s @martinsilvafitness, and my podcast as well. So, I’m up to 50 episodes now and that’s where I’m aiming to get more traction. Now some of my podcast is Optimize Your Body. So, I would go check that out cause there’s lots of amazing information on there. I’ve had lots of, much like yourself, I’ve had some great guests on there. And I’ve talked in much more detail about the stuff we talked about today and more. And also, I have a new Facebook page now which is Optimize Your Body, and I’m also on Facebook as well. Just Martin Silva on Facebook as well. But yeah, I guess the main two, Stu, is Instagram and my podcast. Obviously I forgot to mention my website as well, which is just martin- silva.co.uk. So, go check my website out. And for the listeners they can get a free book and stuff like that if they go on to the website. They can get a free recipe book and some free content as well. So, yeah. 56:12 Brilliant, fantastic. Well look, we will plug all of the links and everything that we’ve spoken about today at the top of the show tonight so everybody will be able to find you without an issue. So Martin look, thank you so much for your time, really appreciate it, and cannot wait to share this with our audience cause I’m sure they’ll get a huge amount out of this. 56:33 Stu, I can’t thank you enough, mate. Honestly, I’m really really grateful for this, It was some great questions and yeah, thanks again for your time, mate. 56:40 Awesome. Hope to catch up with you at some stage soon. 56:43 Alright, bye bye, mate.